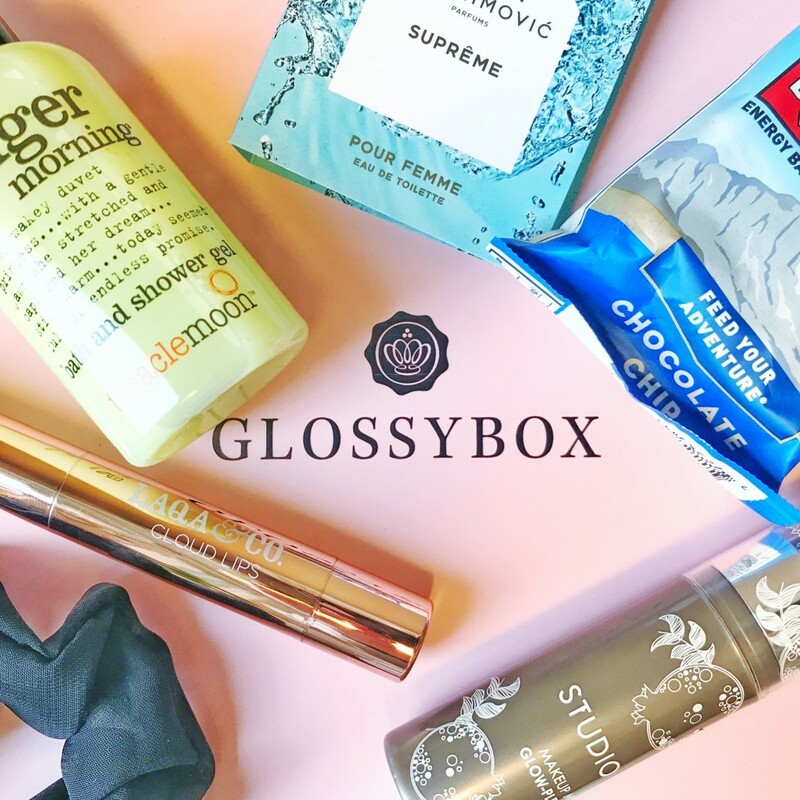 This month Beutybox from Glossybox has the theme ”the statment” and packaging is clean and pink. This month’s #GlossyMoment is perfect for you to make magic happen and make a statement! ✨A highpigmented lipstick from LAQA & Co in color ”Storm”. This berry lipstick is so vampy and cool:-). LAQA & Co is a New York based cosmetic brand that’s about more than just beauty. They offer über convenience as standard. And each of our formulas are more than beautiful and luxe, they’re actually nourishing. A Pillow Soft All-Day Pout. In deep purple, Storm is for those days when you need to rock a bold lip and make a statement. Fluffy, pigment packed and seriously moisturizing, Cloud Lips Matte Lipstick delivers full coverage color for a pillow-soft pout. A big boost of avocado oil ensures for luscious enviable lips that will take you from dawn to dusk without feeling stiff. On top of all that the super luxe formula is cased in rose gold, and ready to travel with you everywhere. ✨ Makeup Mist Glow-Plexion from Studio 10, I felt fresh and a little bit cooling on the skin, but a little bit strong splash for my taste. This can be used as a primer, hydrating spray and a settingspray. It smoothes and illuminates, instantly refresh an d brightens dull and lackluster skin, helping refine skin texture and reduce the appearance of open pores….waow that was a lot….I don’t now if it can do all that..
✨Bath and Shower Gel from Treaclemoon in scent Ginger morning Oh wow this scent was amazing, so fresh:-). How To Use: Massage directly onto damp skin whilst showering and rinse or pour under running water and have a happy 10 minute soak. Please don’t eat this product…It’s for your skin only. Tested on us not animals. Paraben free. Vegetarian and Vegan Friendly. ✨A sample of Supreme Pour Femme EdT from Zlatan Ibrahimovic parfums.